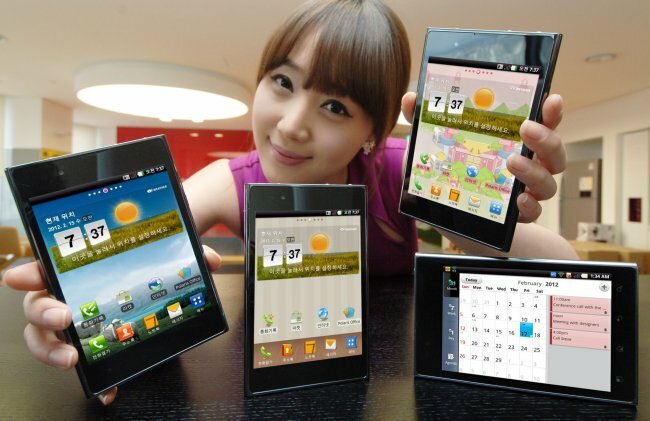 Last week we saw the first image emerge of the LG Optimus Vu and now we have more details. LG has made this 5-inch phone official. It will run Gingerbread (Android 2.3) and feature a huge 5 inch display with a 4:3 aspect ratio along with a specialized stylus. It is 8.5mm thin. Some of the specs include: a 5-inch IPS 650 nit display at 1024×768, 8MP rear camera, 1.3MP front, 32GB of storage, a 1.5GHz dual-core Qualcomm processor, Android 2.3 Gingerbread, a 2080 mAh battery, HDMI, DLNA and Wifi Direct. The size of this one alone makes it a heavy hitter. Viewing documents, books, the internet and multimedia will be much easier on the display. There is no info on an exact date for worldwide release, but it looks like it will hit Korea in early March.